Our readers may be aware of an unusual estate litigation in New York City. Huguette Clark died in 2011 at the age of 104. 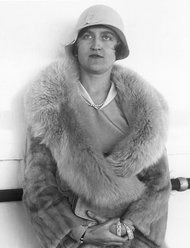 Being the only surviving child of a copper mining magnate, she left a fortune of approximately three hundred million dollars. Ms. Clark was also highly eccentric. After being hospitalized for a purported legitimate medical condition in New York’s Beth Israel Medical Center, she spent her last decades housed in that hospital, despite having an apartment on Fifth Avenue and at least one mansion in which to reside. Two Wills are being contested in the litigation, both of which were made within one month of each other when Ms. Clark was 98 years old, six years before her death. The first Will left her estate to distant relatives who were not named and with whom she did not have a personal relationship. The second Will disinherited the distant relatives, increased the bequest to her caregiver, left a bequest to a goddaughter and established a foundation. An art museum in Washington, DC is challenging a bequest of artwork, instead advocating for cash. The state and federal estate taxing authorities are involved in the litigation because additional estate taxes will be due should the case be determined in a particular way. While due to the large sums of money involved, many people cannot relate to the problems that have arisen in this case, even smaller estates can be subject to some of the same issues. For instance, dying without surviving close relatives opens the door to distant relatives such as first cousins once removed having the authority to challenge a Will offered for probate. In addition, estrangement from close relatives who are not beneficiaries under the Will could result in a Will challenge. People without living relatives or who have estranged relationships are vulnerable to intrusion into their estate plan by caregivers and institutions in their final years. Would Beth Israel Medical Center have allowed Ms. Clark to remain for decades, even if she paid for her housing, if a large bequest had not been negotiated? While the caregiver was undoubtedly of great value to Ms. Clark, did the dependence engendered by the relationship encourage too large a bequest? It is not unusual for elderly people to sign a new Will. However, those persons well into their nineties may not be legally competent to make a Will, or their competency may be inherently suspect because of their advanced age. When an extremely elderly person signs a Will under our firm’s supervision, we attempt to obtain a letter from the client’s doctor confirming details of the client’s capacity. Preferably, the doctor has been attending to the care of the client for some time and is in a good position to offer an opinion as to competency. Further, we draft a memorandum to be maintained in our files as to the Will execution ceremony, the details of our client’s interaction and how clear her intent was. Our client files also contain details of any of the client’s discussion of family relationships, so that we can indicate that the testamentary plan is consistent with the client’s longstanding wishes or that a particular incident motivated the client’s testamentary plan. “In terrorem” clauses are also useful. These no contest clauses can be contained in a Will that may be subject to challenge. For example, such a clause could state that if my son challenges my Will, then he will receive nothing from the estate. Will practitioners suggest that the son in this case be left a modest sum that may further discourage a challenge. Revocable Trusts are also recommended for our clients whose Wills may be subject to challenge. After the Revocable Trust is drafted, all assets are transferred to the Trust. At death, the assets would be transferred to those beneficiaries named in the Trust, without the ability to challenge or involve judicial intervention. A “pourover” Will would also be drafted in this instance to cover any assets that may not be transferred to the Trust. Our firm welcomes your inquiries as to estate drafting techniques that can effectively implement your intent and reduce the likelihood of an estate challenge.